FNM shows a Portugal manufacturer. 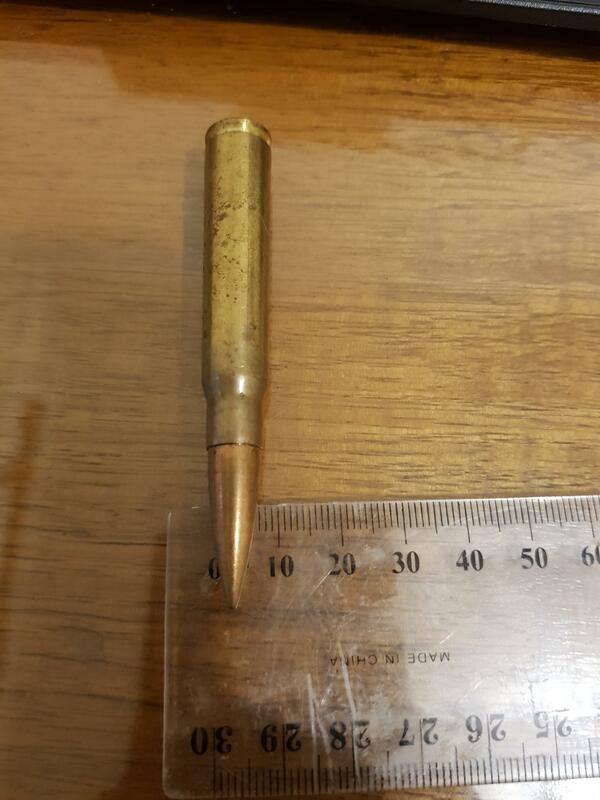 it's not a .303 British, they are a rimmed cartridge. 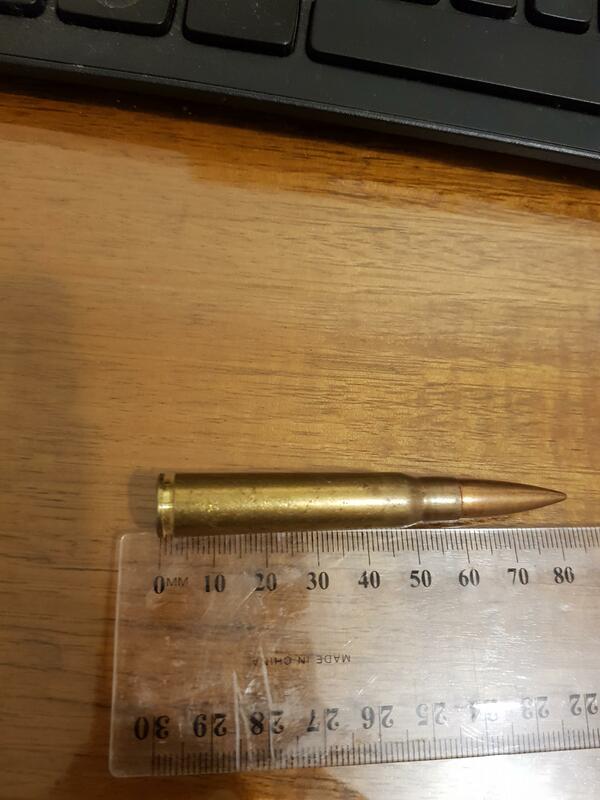 without digging some out to measure it looks like a 8mm Mauser. I thought 30-06 at first but the neck and shoulder look different. If i have time later I'll dig some out and measure to compare with yours. Just looked here. Shows overall length at 82mm which looks to be what your length is. It's either 8mm or something very close to it. 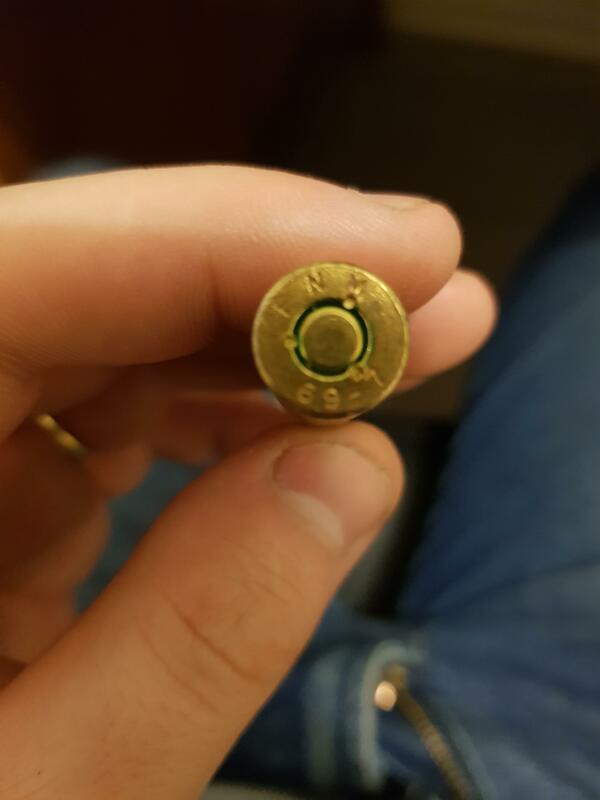 Whats the diameter of the bullet at the case mouth?